Sly AKA Odogwu has been captured by an unknown group. What do they want with him? Why the sudden interest in his powers? 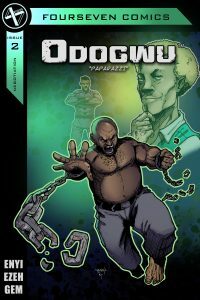 Odogwu: Paparazzi is the 2nd issues in the Odogwu series by by FourSeven Comic Studio.